Businesses have unique information that they want to record and report on. With analysis codes you can capture additional information and add custom fields so you can report and examine specific areas of your business. 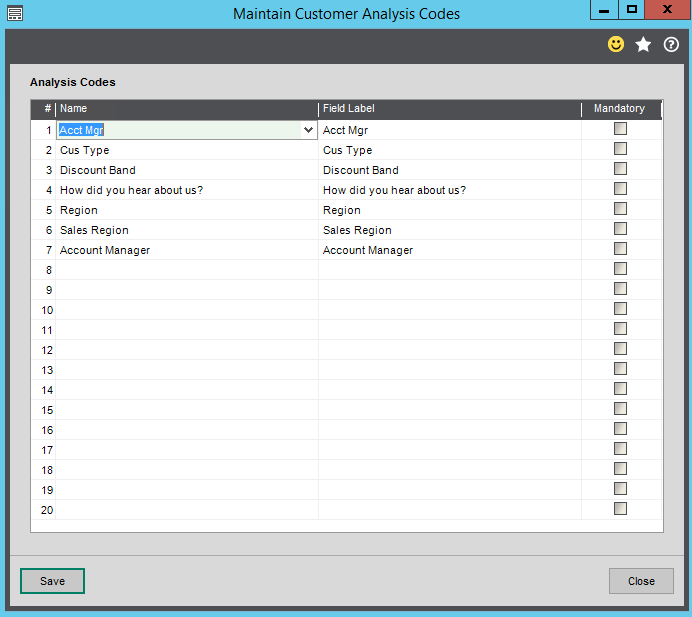 Analysis Codes provide you with additional ways to sort and report on your Sage 200c data. 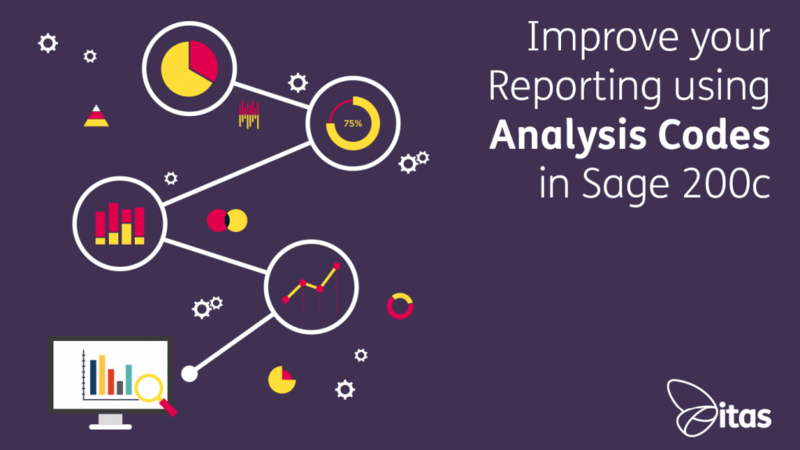 You can produce reports using the analysis codes as reporting criteria. You can also filter data in your workspaces using analysis codes. The analysis code is the type of analysis you want to use. For example, if you want a breakdown of your sales by region, you can create a code of Region. This is where you specify how you want to analyse the data. For example, if you created an analysis code of Region, the values could be South East, South West etc. By default, the Analysis Codes are named 1-5, e.g. Analysis Code 1. You can change the name of the analysis codes. 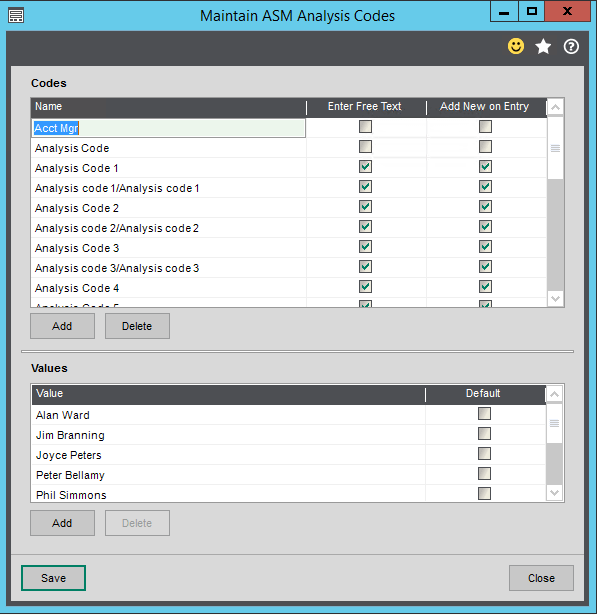 Analysis Codes are set up in Accounting System Manager first. Go to Accounting System Manager > Settings > Maintain Analysis Codes. We do have a handy guide on setting up Analysis Codes, complete with step by step instructions and screenshots. Please follow this link to sign up for access to our guides. In the Sage 200c 2017 Professional release, nominal analysis has changed. Following customer feedback, Sage has added the ability to store analysis codes on each nominal record to allow for greater depth of analysis. Reporting vastly improves, given that nominal is the core area of the product. Some of the new features include additional criteria on reports and enquiries, also having the ability to import nominal accounts to make processing faster. So, what are Transaction Analysis Codes? They are well suited for short term transaction analysis needs, for example, if you want to track transactions that have arisen from a particular marketing campaign. You can add new analysis codes whenever they are needed and easily remove the codes when the analysis is no longer necessary. This prevents lists of unused redundant analysis descriptions remaining. Reports are the most common way to extract information about your business. Sage has a number of default reports you can use to review many aspects of a business. Users can also customize any of the reports to suit the business needs. Using Report Designer, you can open an existing report, amend it and then save it as a custom report. 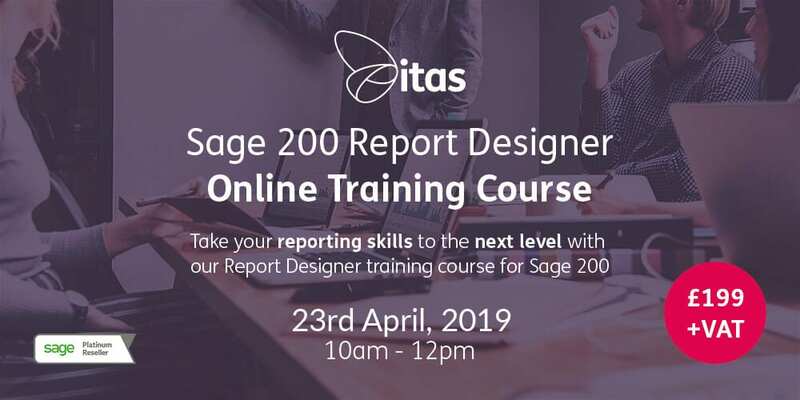 At itas, we offer Report Designer training, click here for more information. List Views are a simple way of displaying the information stored for each module. You can use lists to find and analyse information, open related windows, perform actions on the items, and generate reports. Summaries provide you with a visual overview of areas of the business and help you assess your business performance quickly, you can select summaries from the Summaries option in the Navigation Area Menu view, or from within the Workspaces option. Workspaces provide an alternative to enquiry screens to view and analyse the information stored across Sage 200c, you can select workspaces from the Enquiries section of the relevant section of the menu or from the Workspaces section. Excel reports enable you to extract, view and analyse information from your system. Sage already has provided a number of excel reports within the system and others are available to buy. I hope this blog has given you more insight on using Analysis Codes, if you would like to give any feedback or any ideas on any future blogs please contact us.